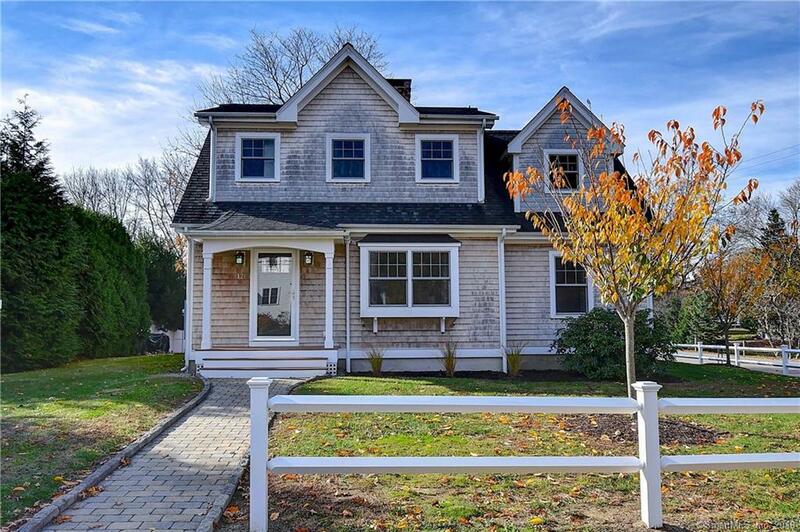 17 Geiser Street, Stonington, CT.| MLS# 170142418 | Eastern Connecticut - Homes for Sale...from Mystic to Moosup & More ! From the Shore to the Country ! This immaculately presented and completely remodeled home is just steps from the heart of Downtown Mystic. The main floor plan encompasses two bedrooms, a full bath, and a sleek and stylish kitchen that flows to an enclosed back patio that is perfect to enjoy your morning coffee or grab sunsets at night. The open concept living allows you to enjoy dinner by the fireplace or relax with company in the living room. The Master bedroom located upstairs has a walk-in closet and large ensuite that is perfect for a home office, nursery or additional private living space. This home has radiant heat throughout keeping your feet warm at all times and heating costs at a minimum. The basement is set up with a wood stove for additional heat source while you tinker in your workshop or finish the space in the future. Perfect for a family or a summer retreat this home is ideally positioned to enjoy the proximity to local marinas, beaches, cafes, shopping and a selection of premier restaurants.